This manual presents a new approach, which incorporates cutting-edge sexual violence advocacy and effective primary prevention models. Consistent with the original curriculum, the new approach helps sexual assault preventionists leverage their expertise to support college communities’ sexual violence prevention work. However, the long-term goal of this curriculum has been expanded. The goal of the new approach is to build readiness and empower college communities to create unique solutions to the problem of sexual violence on campus, including alcohol-related sexual assault. 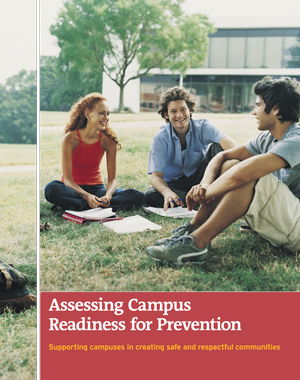 The manual provides considerations and resources to guide preventionists as they provide training and technical assistance to their partner colleges.